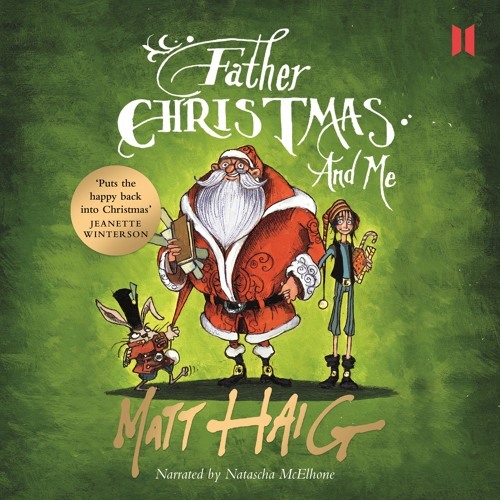 Listen to an extract from Father Christmas and Me by Matt Haig, read by Natascha McElhone. LET THE BATTLE FOR CHRISTMAS BEGIN It isn't always easy, growing up as a human in Elfhelm, even if your adoptive parents are the newly married Father Christmas and Mary Christmas. For one thing, Elf School can be annoying when you have to sing Christmas songs everyday - even in July - and when you fail all your toy-making tests. Also it can get very, very cold. But when the jealous Easter Bunny and his rabbit army launch an attack to stop Christmas, it's up to Amelia, her new family and the elves to keep Christmas alive. Before it's too late . . .